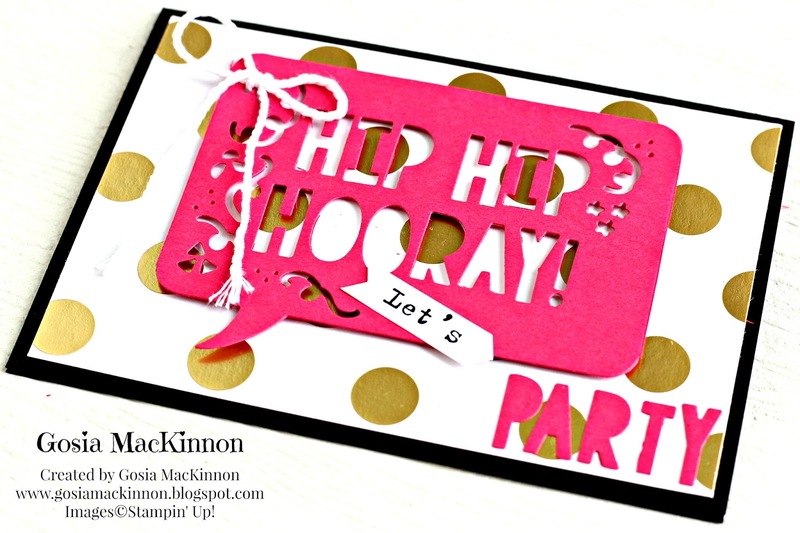 PARTY POP-UP WITH CAKE - USING NEGATIVE SPACE DIE CUTS BY STAMPIN' UP! 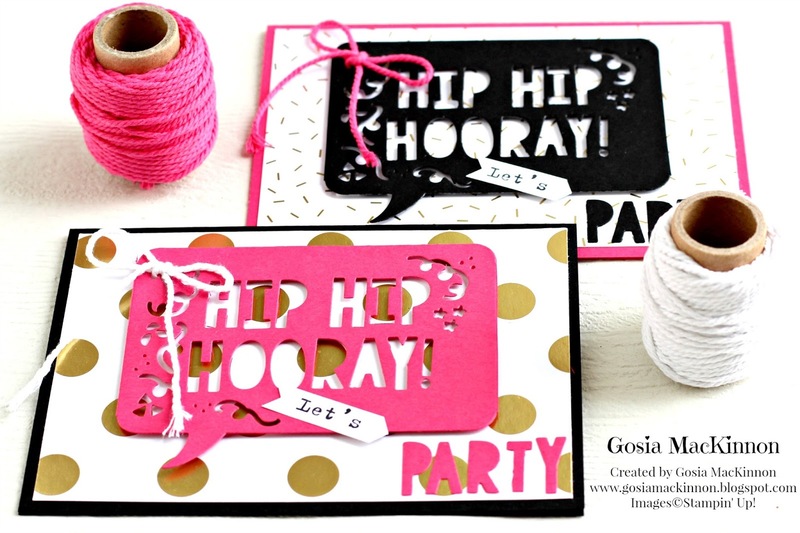 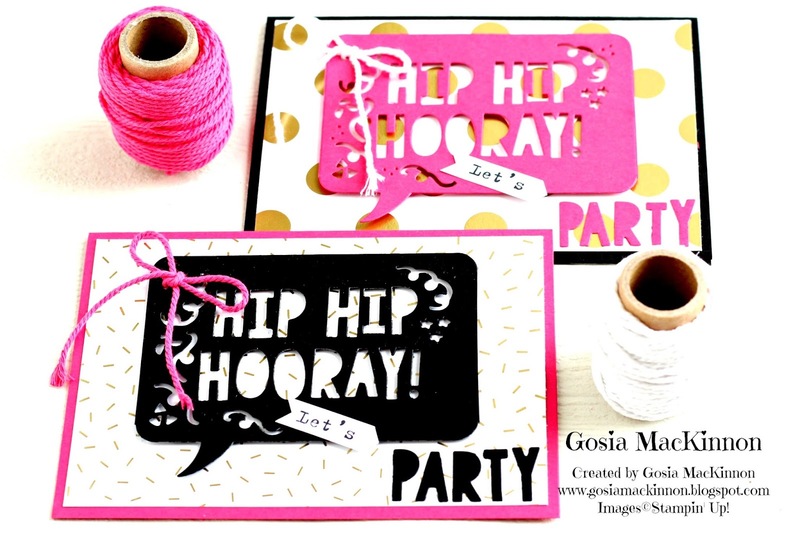 Using the Party Pop-Up Thinlits Dies and your Big Shot with the Precision Base Plate die cut the HIP HIP HOORAY! 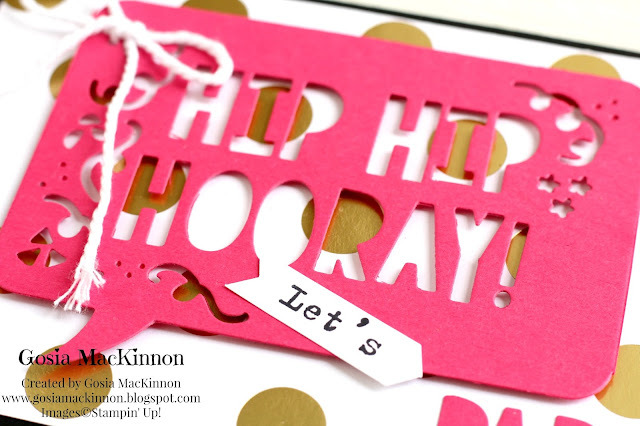 sentiment and keep also the letters: P, A, R, I, Y. Tie bow using Melon Mambo, Whisper White Thick Baker's Twine first then stick your sentiment using Stampin' Dimensionals. 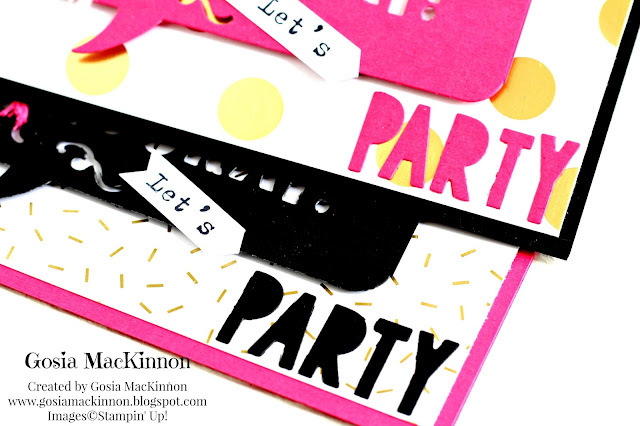 Take the Paper Snips and make letter ''T'' from letter ''I'' then using Multipurpose Liquid Glue adhere the word ''PARTY'' to your card. 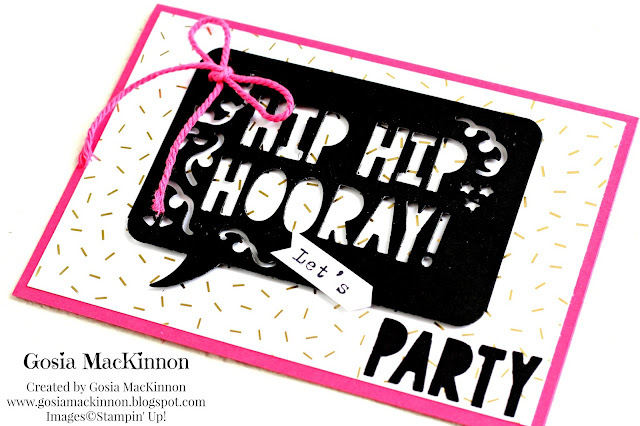 Using Basic Black Archival Stampin' Pad and the sentiment ''Let's Party'' from the Party With Cake Stamp Set stamp the word ''Let's'' only on Whisper White scrap paper and using the Classic Label Punch punch out the word and adhere it to your card and that is it!